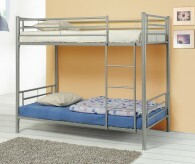 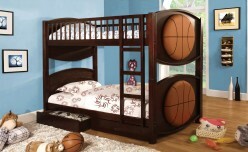 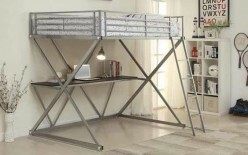 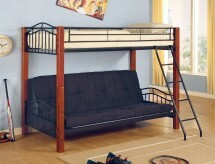 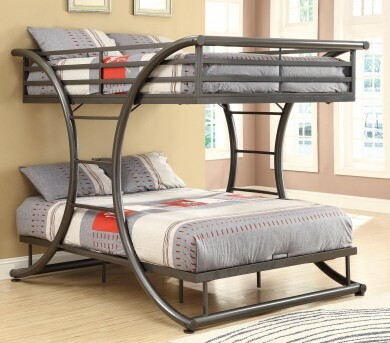 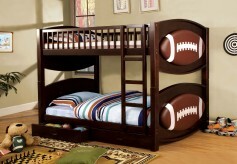 This is a fun and stylish full over full size bunk bed, the gunmetal color gives the contemporary décor for any child. 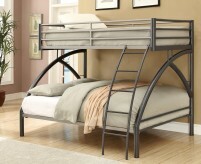 The metal curve design softens and holds the sturdy support of the bed. 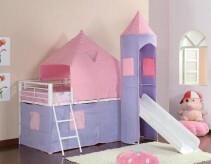 Whether you seeking space saving features or simply a fun and attractive piece, this twin bunk will give your child’s bedroom an updated look. 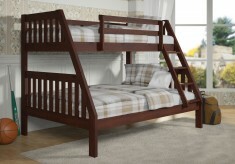 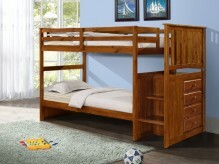 Furniture Nation is proud to offer the San Jose Full/Full C Bunk Bed online. 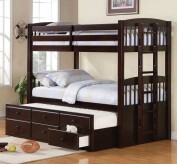 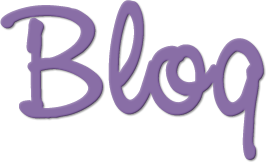 We serve customers across the DFW region including Richardson, North Richland Hills, Denton and many more. 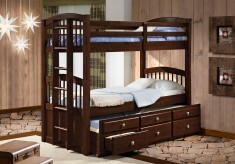 L82" x D60.75" x H65"